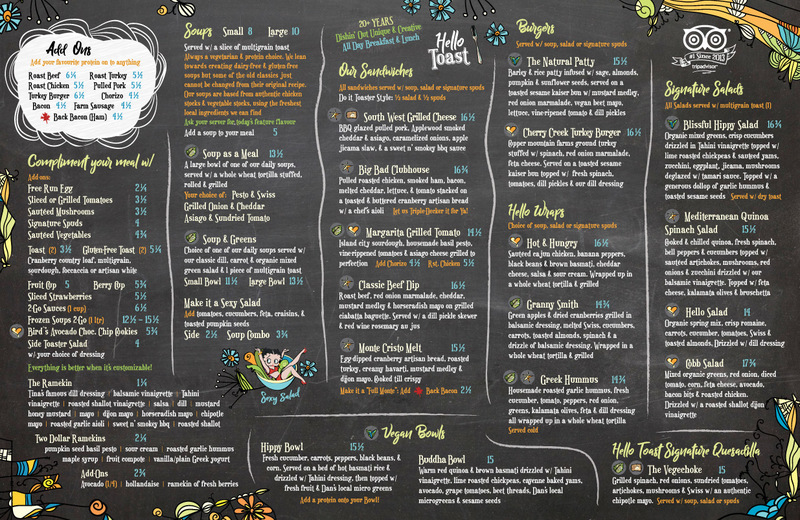 Hello toast is our funky, bustling breakfast and lunch restaurant in downtown Kamloops. We’ve been a part of the Kamloops community for over 20 years. Run by super good friends and family, we pride ourselves on being a place that people come to gather, eat and be happy! Join us seven days a week for a sweet or savory all day breakfast or for one of our delicious home created, home cooked lunch plates. Our chef sources local meats and produce whenever possible to bring you the best quality ingredients. 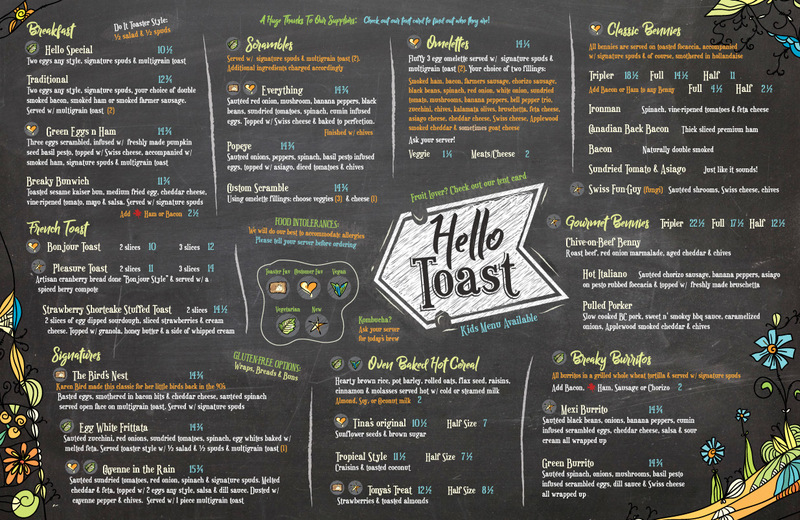 Hello toast is your source of good times, deliciousness and amazing service!